Saudi Arabia's Shoura Council proposed a medical liability law to ban euthanasia (Ending a life to relieve pain and suffering) and human cloning with restrictions on artificial insemination, abortion and sterilization. Health Council committee was considering proposals submitted by former Shoura members before publishing a final draft. The new law aims is to promote medical injustice by applying Islamic law to practitioners and patients, it also regulate litigation in cases of medical malpractice. - The law also bans the termination of life of any patient for any reason even at the request of their family. 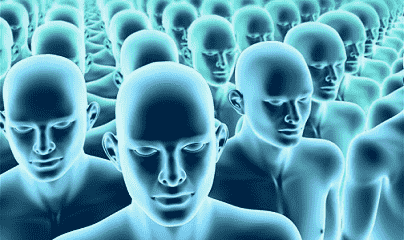 - It also ban human cloning (creation of genetically identical human) and related research. - The law also proposed to ban Sterilization (Blocking or sealing the Fallopian tubes of women which links to the womb) except on some medical conditions supported by a specialized medical team with at least 3 doctors. - Those who violates this law will face 5 to 10 years of prison including a fine of at least 50,000 Saudi Riyals in each case respectively. - Birth control without consent of a couple will also banned by this proposal. - Abortion would be accepted only if the life of the mother is at risk or on the request of the couple if a foetus is found to be deformed by medical team with in 4 months. - Medical liability will not be accepted if the injury is caused by the patient's own act or refusal of treatment or failure to follow instructions or an external factor. - Health care companies will be required to insure medical practitioners against errors and bear 80% of the annual insurance premium.